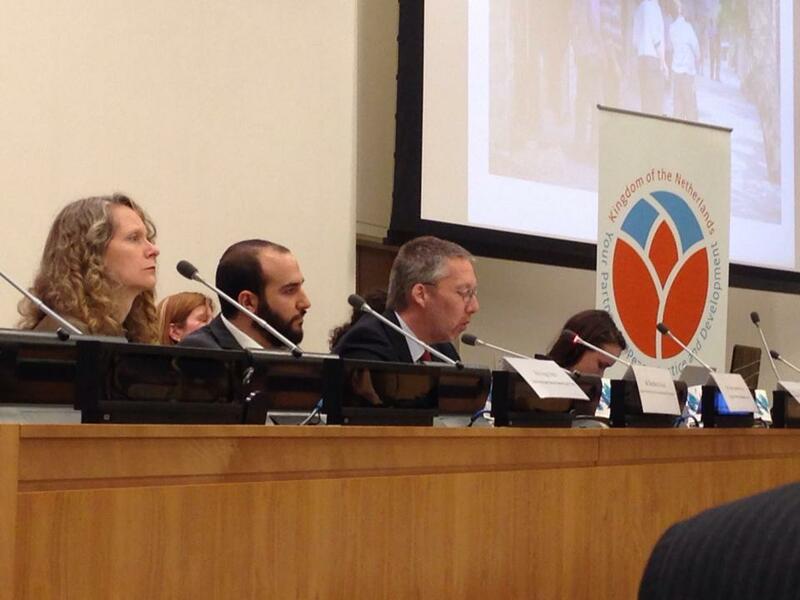 I participated as a panel speaker at the UN event on Barrel Bombs and their effects on civilians. The event was held on May 14th, 2014 at the UN Headquarters in New York, organized by the Permanent Mission of the Netherlands and co-sponsored by the Permanent Missions of Belgium, Denmark, France, Germany, the United Kingdom, Luxembourg, Portugal, Qatar, Saudi Arabia, Spain, Turkey and the United States. The event included a videos of barrel bomb attacks, testimonies from Dr Samer Attar, a Syrian American Medical Society physician and from Ibrahim Al Assil, executive director of the Syrian Nonviolence Movement and presentation from Human Rights Watch by Peggy Hicks. This entry was posted on Tuesday, May 20th, 2014 at 9:12 pm	and tagged with Aleppo, barrel bombs, Ibrahim Al Assil, Syria UN, Syrian Activists, Syrian Civil Activism, Syrian Nonviolence Movement and posted in English. You can follow any responses to this entry through the RSS 2.0 feed.